Avoid traffic congestion and collisions with No U Turn SignsTraffic signs are crucial when facilitating a safe and efficient traffic flow. With properly mounted No U Turn Signs, you can efficiently direct traffic and keep motorists aware of proper U-turn slots to prevent accidents. 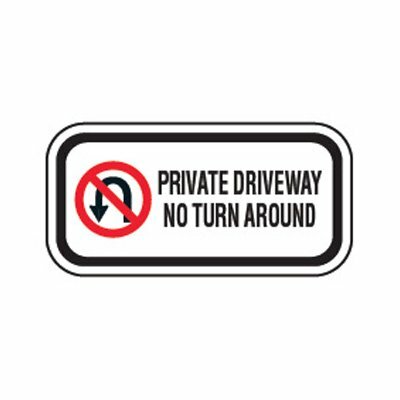 Part of Seton’s large selection of traffic and parking lot signs, our No U Turn signs come in large letter formats with universally recognized graphics and symbols. 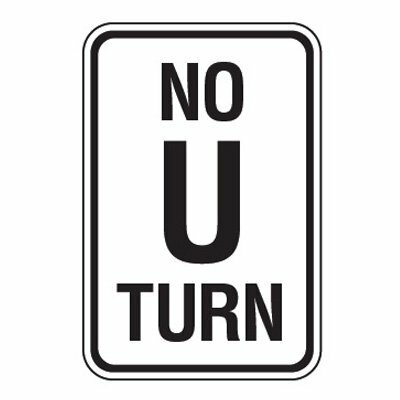 Made from tough aluminum, these No U Turn Signs are designed to withstand harsh outdoor conditions. In addition, you can always choose to upgrade your No U Turn sign with Seton UltraTuff™ overlaminate for extended product life and better protection against fading, chipping, graffiti, and other factors that may affect the performance of your sign. Maintain safe traffic flow while complying with strict MUTCD regulations with No U Turn signs from Seton. Both engineer grade or high intensity reflective aluminum signs are MUTCD compliant. These traffic signs also come with a long range visibility feature that is suitable for outdoor use. We also offer a Prohibition Sign – No U Turn that displays the easily recognized traffic symbol. Proper installation of signs is as important as choosing the right signs. When putting up your No U Turn sign always make sure that it is properly mounted. Place your signs in highly visible and well-lit areas. If lighting is a problem, you can pick a reflective sign that will still be visible even in dark places. In addition, you need to make sure that your signs are securely mounted to prevent thief or accidents caused by falling signs. At Seton, we carry a large selection of sign posts and accessories that you can use to guarantee that your signs are properly and securely installed.